You took proper care of niche, keyword research, and that irritating SEO part. But, what next? How do you manage to make money from your blog and what are different ways to make money blogging? 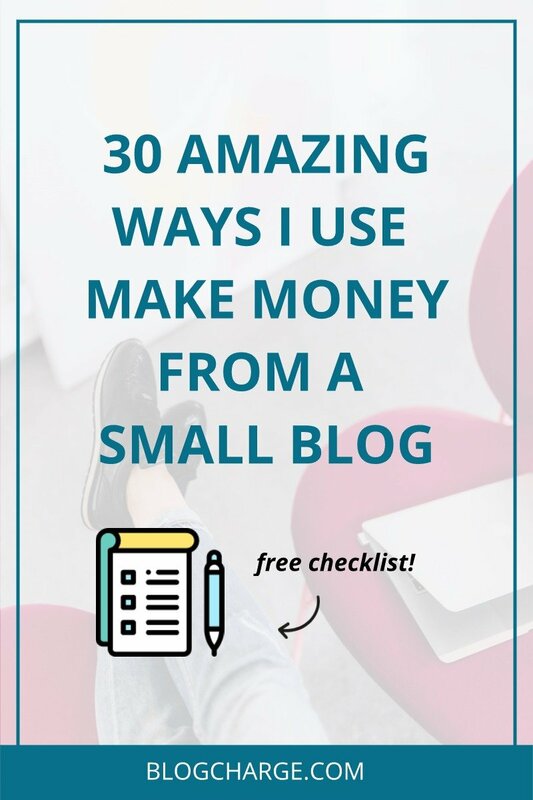 To make your hunt more comfortable, I have collected a total of 30 different blog monetization strategies which can help you skyrocket your blog earnings and live your passive income dream. You are not ready to devote few hours of every day to blogging, i.e., blogging is just a weekend project for you. Your goal is to make quick money and flood your blog with too many ads. Free from all of the above statements? Great. Let’s start with this epic make money blogging guide. To make money from your blog (start here if you don’t have one already), you need to monetize your blog. Wait! What’s blog monetization? As the name suggests, blog monetization means to use your blog’s content and information to make money from it. You get traffic to your blog, show them ads or sell courses, and make money. Blogging has grown from being just a weekend project to a serious business which can help you earn enough to quit your day job and live a lavish lifestyle. So, do treat blogging professionally and stick to the plan from day one. It has to be one of the most asked questions of any given make money online forum. The thing is, we like to estimate how much we can earn and analyze the earning potential before getting into any business and the same applies here. Blogging doesn’t disappoint anyone about earning potential, and you can make unlimited. Yes, there’s no limit to how much you can earn from blogging, and it all depends on how you scale the practical strategies and expand your reach. That’s a lot of money for a single month. Inspired AF? Let’s move on and make your blog ready for monetization. Putting things straight, you can’t earn well if your blog looks or perform like trash. We first need to improve it and turn it into a money-making machine. As it goes without saying, right web design can attract the user’s attention and make them stay longer on your site with a high chance of conversion. It also gives an idea to readers that there’s gone some hard work in building the site and increases the trust factor. If you’re still using one of those free themes come bundled with a WordPress installation, it’s time you buy a premium theme or hire someone to develop one for you. Ideally, it should be responsive, look good and clutter free, load fast, and give a sense of authority. You can refer to our top 10 WordPress theme collection for further research. The next important factor which can turn off your readers is the load time. Based on individual analyses, your page should load in less than 3 seconds else the reader will close the tab and move on to the next result. To get the load time lesser than 3 seconds, you can switch to a better host, use a cache plugin, optimize tables, and do other speed optimization tricks. I switched to CloudWays from shared hosting and saw a great speed improvement (+458% to be precise). Here’s the complete guide. Not to Self Write a detail WordPress speed optimization guide ASAP. A no-brainer. There is no money if you don’t have traffic rolling into your blog on a constant basis. Although not always true, traffic is directly proportional to how much you can make money. If you’ve 1000 unique visitors per day and 5% of that converts, you can make enough money to boast. But if you’re 100, there isn’t much worth considering. So, try to improve blog traffic and reach a consistent and reasonable level of traffic where you can make a steady income. Refer to this post where I have shared 39 free blog promotion sites to share your latest article for free and get relevant traffic. Improves reading time and decreases bounce rate. It again helps in SEO and earning more with ad impressions. Contact: For other queries of your readers or interested brands. All set and ready to make money blogging? Here are 30 blog monetization strategies you can use to earn money from your blog in 2018 or beyond. These are some of the blog monetization strategies with a huge earning potential. You can scale these to earn as much as you want. No list of blog monetization strategies can be started without mentioning AdSense on the top. It is the king of blog monetization and the first choice of newbie bloggers. You don’t have to worry about the types of ads to be shown to the readers as Google takes care of it with the means of their advanced algorithms. There are thousands of sites earning from Google AdSense as their primary source of income, and it is indeed most reliable source. Up next the sleeve, we have affiliate marketing, one of the highest paying blog monetization methods used by top bloggers. Affiliate marketing is when you recommend products to your readers and subscribers via links (attached with an affiliate ID) and earn a commission if a purchase happens. If you don’t like AdSense and want a better alternative, affiliate marketing is what I or any other blogger would suggest. For a better understanding, refer to below image where I have *tried* to visualize how Affiliate Marketing works for real. If you can’t find an affiliate page for a product you promote, try contacting the product owner and ask for a commission for each sale referred from your end. Make sure you do not repeat this affiliate marketing mistake for a successful future. It is often referred to as one email subscriber = 10 social media followers. And with my experience, it stands true. Also, email subscribers are your loyal readers and happily read & share your latest article with others, because they believe in you. Simply put, you can make more with a 1000 subscribers list than 10,000 social media followers. To collect and manage your email subscribers, you first need to get an email marketing tool. I recommend MailerLite as it is free for first 1000 subscribers and provides all the smart features one need. You get automation, pre-made templates, subscriber opt-ins, workflow management, and more. Click here to create your MailerLite account for free. If there’s anything better than affiliate marketing regarding making money blogging, it has to be selling your products. Here, you don’t rely on others products or services to promote and can decide to price all by yourself. An excellent product which solves one or more user’s problem and benefits you on a long run and above all, it’s mostly a passive income. The type of product you can sell on your blog can be as simple as an ebook, or a complex SaaS (Software as a Service) application. The more effort you put into it, higher the pricing point and earnings. Additionally, you can start your affiliate network and share commission with others who do the hard work of promoting your products. Yes, it’s not CPT but the CPM; The “M” here represents Roman numeral for 1,000. 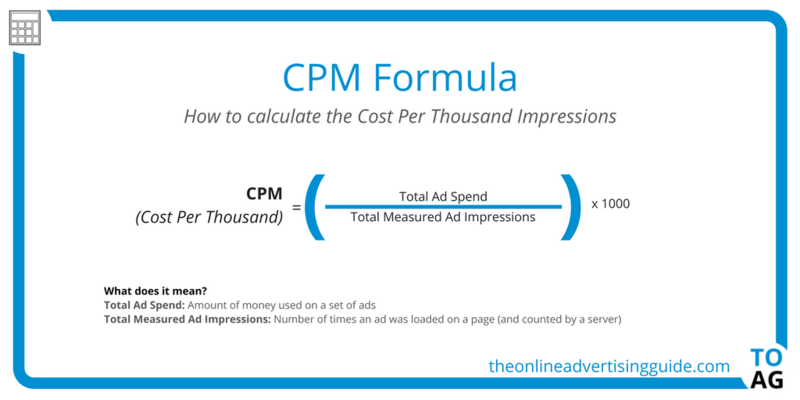 CPM advertising is used in cases when an advertiser pays based on per thousand impressions on the ads. For example, if an advertiser has a $5.00, you’ll earn $5.00 for every 1,000 impressions to the ads placed on your blog. CPM advertising is an impressive strategy for blogs with huge traffic amount, at least 50,000 users/mo. Considering an average CPM of $3, you can quickly make roughly $150/month by displaying a single ad. As the name suggests, CPA advertising pays bloggers based on each action taken by the blog readers. These actions can be signing up for a newsletter, buying some product, creating an account, etc. The price you can make per action varies from advertiser to advertiser but is higher than CPM advertising. Affiliate Marketing is an example of CPA ads; you get paid if someone buys a product, i.e. take action after clicking on your link. The commission can be a fixed amount or a % of sale depending upon the advertising network. The best part about CPA blog monetization strategy is that you need not have massive traffic but small targeted readers who are willing to take action. 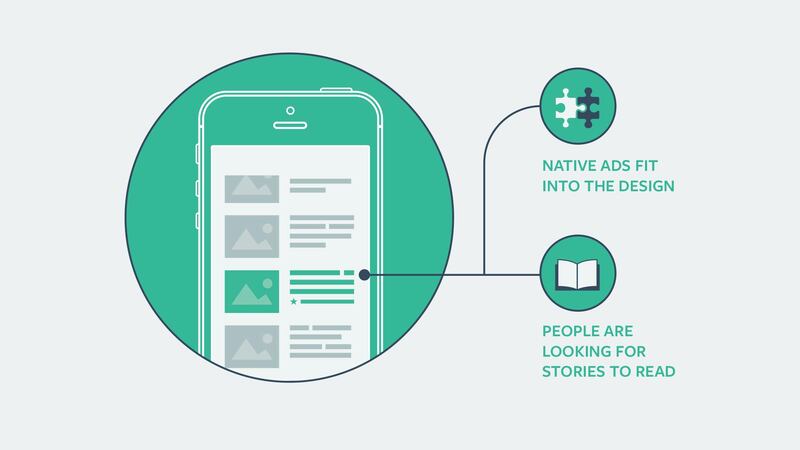 Native ads follow a similar visual experience of the page and content where it is placed. With a near identical interface, native ads have a better chance of getting clicks since the user may think it is part of the content. Native ads extract the same styling of other contents on the page (font, color scheme, text formatting, etc.) to provide a consistent ad experience. You may have observed these ads on your favorite social media channels like Facebook, Twitter, Instagram, and Pinterest. The podcast is the new blog post. Many popular bloggers in the industry have started to publish podcasts where they discuss popular topics and share their expertise about it. Audio podcasts have become popular due to their nature which allows you to listen to it anytime while managing another work. Having these audio podcasts sponsored is yet another trending make money blogging method, and Pat Flynn from Smart Passive Income makes around $40,000 from podcasts only. Dropshipping has been the talk of the town lately, and you’d find small entrepreneurs from all over the world earning $ from it. When someone orders on your e-commerce store, order it on AliExpress and get it delivered straight to your customer’s address. You don’t need to have a storage area, buy products, ship them manually, or any of those e-commerce related hassles. The sellers will directly send the product to the given address without any bill or store name. The go-to method of getting traffic to a dropshipping store is to run social media ads, but if you have a popular blog in a niche with a possibility to sell products, you don’t have to spend on ads. By using plugins like WooCommerce, you can turn your existing WordPress blog into an e-commerce store with a dedicated store and cart functionality. 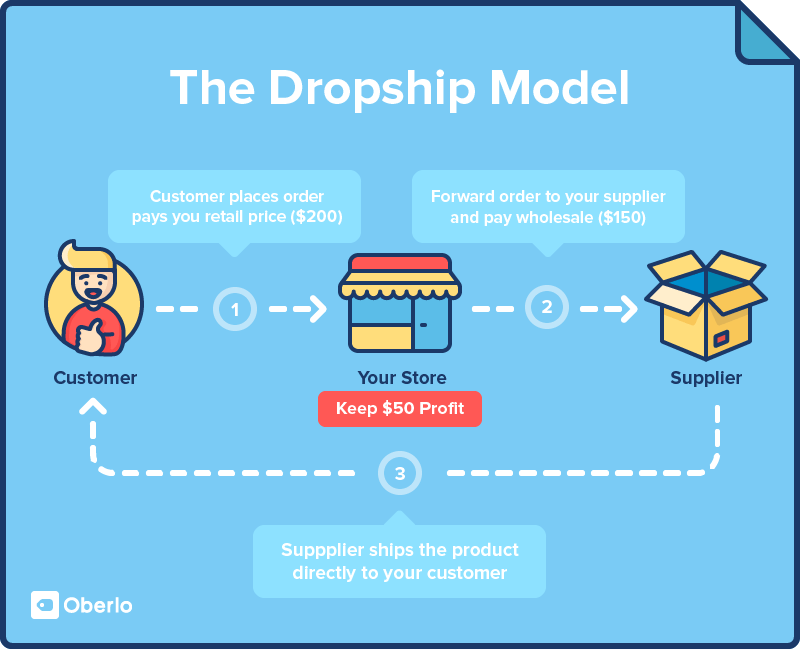 Refer to this guide for further explanation about how to start a dropshipping site with WordPress. Or this if you want to start directly with Shopify + Oberlo. If there’s anything which can beat Affiliate Marketing, it’s selling courses or taking personal coaching classes. Many bloggers are making up to six-figure annual revenue by selling their courses and teaching personally to a group of members. You don’t need to be a super famous blogger to be able to sell courses but experience and unique strategy which bring proven results. You can scale it to the sky by hiring marketing team or spending on social media ads or creating your very own affiliate program. If your site has been generating consistent multi-figure income and for some reasons, you’re losing motivation to work on it, flipping the site will be the best move. Flipping websites is a popular profession of many bloggers who either build or buy a site with good potential and sell it for multiple folds. There are a lot of factors involved in deciding valuation of a website, but on an average, you get 15-20x of the current monthly revenue. If interested, you can sell your website on Flippa or Empire Flipper. If you’re a master of some skills and have been practicing it for years (or months with excellent results), you can very well sell your services via the blog. 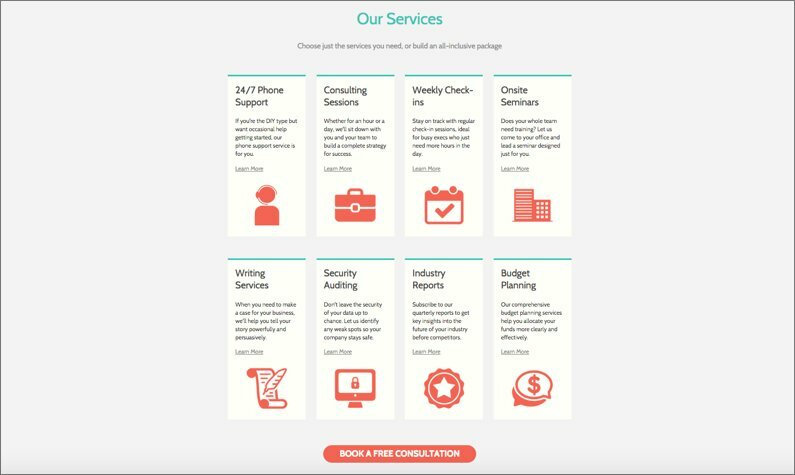 To let readers know about your offerings, considering creating a separate “Services” page and filling in all the details regarding charges, duration, testimonials, etc. Tip: If you’re doing repetitive tasks and answering the same set of questions over and over again, create an FAQ page and instruct new clients to go through it beforehand. Also, do list out the requirements and expectations to avoid last-minute changes. It is always suggested to never put all your eggs in a single basket. If you’re completely relying on any of the above mentioned ways to make money blogging, do consider at least using one more blog monetization strategy. If for some reasons, the primary monetization methods doesn’t work, you’ll not go out of business. Here are some blog monetization strategies with good earning potential. Banner ads are somewhat similar to AdSense, but instead of letting Google decide what banners to show, you’re the one in charge of it here. You need to determine what product or brand to promote, create or search for a banner, place it in a suitable location, and keep playing it with unless you’ve found what works best. It may sound like a lot of work, but you can make good money doing so in addition to other blog monetization strategies. Banner ads are charged on a fixed price with either a weekly or monthly contract. You don’t have to worry about getting clicks as you don’t get paid for it but for the traffic you’ve generated. Hold on. How come reviewing a product is a blog monetization strategy when it apparently is just another blog post type? If that’s what you thought, you’re correct up to an extent. Writing product reviews is a great way to increase affiliate sales and provide information about a product to your readers. But here I’m talking about product reviews where you get the product by brands (mostly for free) and are expected to write a genuine review. You can add affiliate links or get other stuff in exchange for sales made from your product review. You may also get paid for writing reviews, but the brand will expect a positive review (despite your experience), and that’s not what I recommend. Hence, you should only try to get free products and try to write genuine reviews which helps your readers and doesn’t disturb user’s trust. Tip: Join e-commerce platforms like GearBest who gladly send products to review if you’re well-known in your industry. 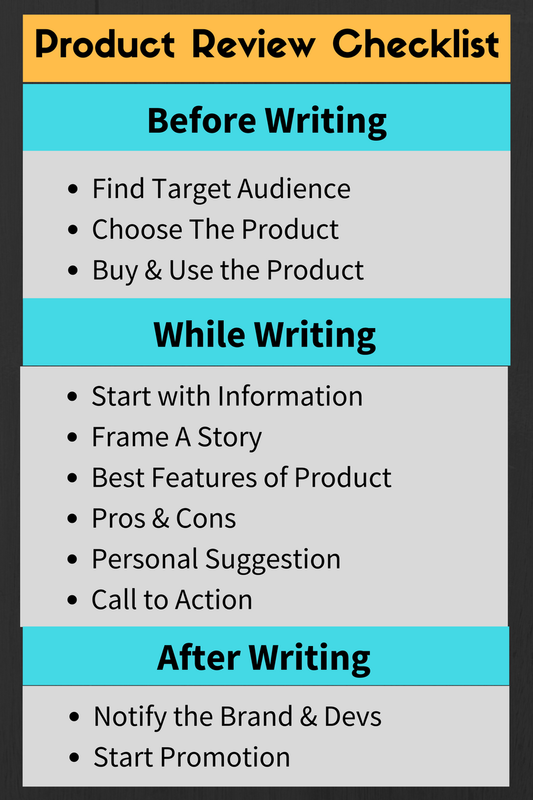 Here’s a checklist to refer when you’re ready to write product reviews. Up next, you can make money blogging by offering sponsored posts on your blog. How it works is that brands reach out to you and pay to get a dedicated post about their product/service on your blog. It can be a review or an informational article. You can expect to earn at least $100 per article if having a decent reader base or even more if you’re famous in your niche. SEO Tip: Avoid selling out DoFollow links to all brands which are against Google’s TOC. At most one DoFollow link is fine with a brand or naked URL anchor text. Also, try limiting the amount of sponsored posts on your blog not to annoy the regular readers. Unless you live under a rock, you must have seen your favorite sites using this blog monetization strategy where they create a separate section to post deals and coupons. Since there is very little information to share about the deal/coupon, creating a new post altogether isn’t a good idea. It may also affect your site with a thin content penalty. On the other side, a separate section to post new deals and section is convenient, does not affect SEO, and readers get access to all the deals in one place. 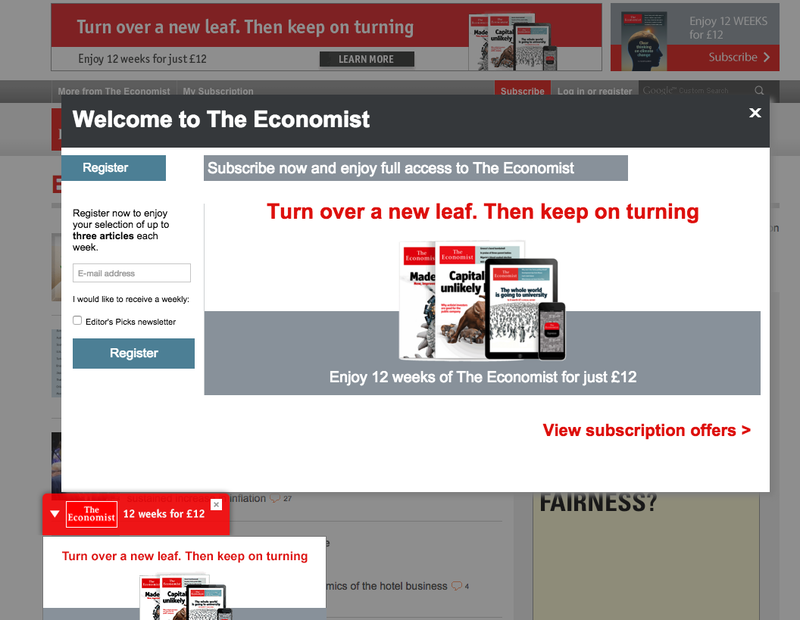 Pop-ups are amongst the most annoying part of a site, but they work. For instance, in a test, Shopify found that popup drove 1,375% better results as compared to sidebar widgets. On the other side, Pop-under ads are launched in the background of current tab and are only visible when the current window closes. Using pop-up or pop-under ads as a blog monetization strategy can increase your revenue multiple folds, especially if you have massive traffic that goes wasted. However, be aware that pop-up and pop-under ads can slow down your website or may increase bounce rate as a cost. Tip: If you want to run a website with an aim to get returning visitors and have a reasonable bounce rate, avoid using pop-up and pop-under ads on your blog. Cryptocurrency was another hot topic of 2017, and with Bitcoin reaching $10,000 price mark, everyone on the planet was ready to invest their hard earned money to it hoping to make quick returns. But, that didn’t go as planned, and Bitcoin fell to a low price along with other cryptocurrencies. But, the hype around the cryptocurrencies, invented an entirely new way to make money blogging with the launch of crypto mining by CoinHive. It was used by popular sites like ShowTime, PirateBay, and leading news channels with an aim to get rid of all the annoying ads and replace it all with crypto mining. But after receiving disappointment from internet users, they have removed these scripts or minimized the processing speed. Nonetheless, if you have a site with massive traffic in niches not accepted by major ad networks (read Google AdSense), crypto mining can be a good way to make money from your reader’s CPU power in exchange of providing an ad-free experience. Although you can get a premium WordPress theme for your blog, having a custom developed theme which speaks for itself is worth it. Having a unique blog design which is hard to match and provide amazing user experience is a long-term investment many top bloggers have invested in. If you’re one among them, who have spent thousands to get a custom developed theme, this is a perfect way to make money blogging and perhaps get your investment back. You can sell your theme design by collaborating with any theme marketplace like MyThemeShop which handles all the sales and customer service while you get a commission on each sale. Bloggers like Matthew Woodward have their custom theme up for sale and selling like hot cake. If you’re a Medium user, you’d know that it charges a fee of $5/month to unlock some of the best stories shared over here. The writer of the story also gets paid each time someone with subscription reads the article. This model where you charge readers to access best articles or information on your site is called Subscription-based blog monetization strategy. Many of the magazine sites are running the same model, and regular readers to pay to have exclusive access to excellent contents. If you have a big site with a lot of information and a loyal reader base, this strategy can work pretty good. If you’re in a niche like self-improvement or finance, selling planners and printable materials can be a good income source for you. Developing custom planner according to your reader’s demand is a lucrative blog monetization strategy and widely used by women bloggers. Since these are digital products, you don’t have to worry about printing or mailing it to the buyer. Tip: Use platforms like Etsy to sell your digital products to a broad customer group. There are some more blog monetization strategies that do not promise to make you a millionaire but can be used by beginners. Most of these techniques, do not require investment but a lot of time. So, if you’re a student or someone with lot of free time to kill, try some of these strategies to make profit. A type of contextual advertising, this is another popularly used way to make money blogging. Textual link advertising turns individual words or phrases in a sentence to clickable links which are easily distinguishable from other links on the page, due to a different color or additional styling. It has to be one of the heavily spammed advertising strategies which were applied by beginners as well as a seasonal blogger to earn some quick money. You shrink a regular link with any of shortening network’s tool, say AdFly. You share this AdFly links on your site, social media, or other places, hoping people to click on it and visit the website. When someone clicks on the link, they’re shown a page with ads and forced to stay on it for 5 seconds before they can skip. After skipping the ad, they get redirected to the original URL. Genius, no? Although it affects user experience and annoys them, sites which provide free content like software, movies, etc. used this strategy to make money blogging. You get paid for per 1000 visits, and the amount varies from country to country. On an average, you can expect to earn up to $5 per 1000 visits. Push notifications are the new way to let subscribers know you’ve posted a new update or have something important to say. But have you ever thought of monetizing it? Yes, just like you can monetize your email list, push notifications can also be monetized and probably with a better Click-Through-Rate. PropellerAds, for instance, has launched web and app push notification monetization which can help you earn some quick bucks. The reason why push notifications will work better is that visitors willingly subscribe to it and are willing to hear more from you. Have you ever experienced sudden music playback while you’re browsing a popular news or magazine website? And on further investigation, you’d see that there was a video playing in some part of the site automatically as soon as the page loaded. 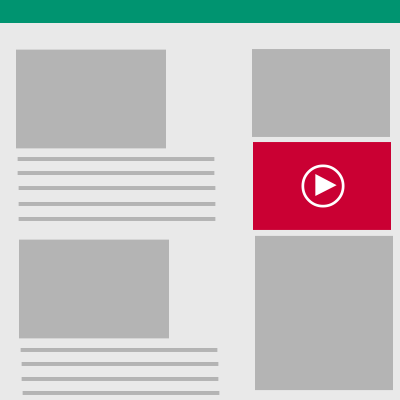 Many popular news websites use this blog monetization strategy to earn by auto-playing the video (typically an ad) on the page load. Accepting donations for charity and events is a common practice, but the same can be applied to blogging. You may have already seen some site owners having a widget requesting to donate some money as per their will. If you’re doing a great job and have helped readers by walking extra steps, they’ll be glad to donate few $$ to help with blog maintenance. You may use PayPal donation plugin if the idea excites you. These were some of the best blog monetization strategies that work best for website traffic. But, for those who have a majority of mobile traffic or a website app, here are few ways to make money blogging suitable for mobile visitors. 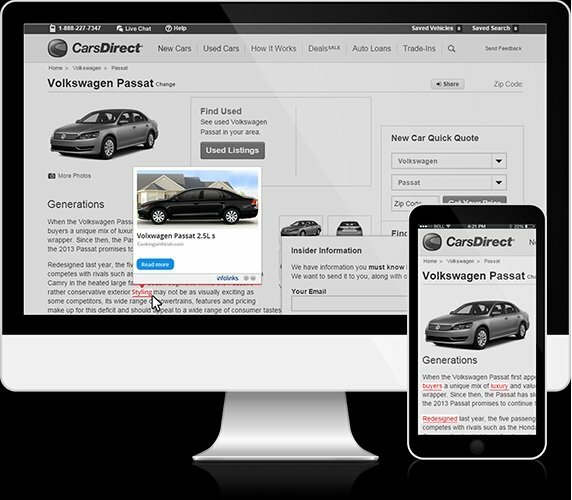 I’m assuming that you have a mobile responsive site and a blog application which can be monetized. To make your website responsive to all screen sizes, you can use any of these premium WordPress theme. Similar to CPA monetization, CPI pays you when any of the readers click on the link and install the specific application from the app store. Since the mobile industry is booming like anything, CPI seems to have a great future ahead. The amount you can earn on per install basis can vary depending upon the operating system, country of visitor, and niche. Ogads is one of the leading Cost-per-Install networks; you might want to check out. Have you ever found yourself annoyed with those full-screen ads on apps and mobile sites that take up the entire screen with a small ‘close’ button? 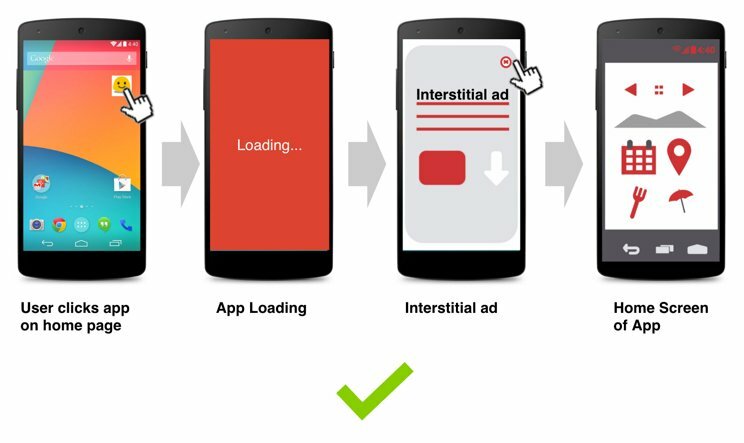 These are known as Interstitial ads and are widely used by mobile app or game owners to monetize their applications. Although it is annoying and not favored by readers, the chances of getting clicks are pretty high. This one works best for bloggers with their mobile application but can be used with websites as well. In offer wall ads, we offer some incentive for our readers in exchange for completing specific tasks. You may have seen it in mobile games wherein they ask you to install other apps or watch videos for free coins. The same can be applied to your mobile website where you can ask readers to complete the particular task for which they get some downloadable media or other gifts. If you have an Instagram account with few thousand followers and active engagement, it can be monetized to earn some quick bucks. You can sell shoutouts to other pages in your niche in exchange for a reasonable amount which entirely depends on your account engagement and growth. You can quickly make at least $30/day by selling shoutouts for 5-6 hours and more by selling the shoutout for 24 hours. If you don’t have enough followers, check out my Instagram case study where I grew an Instagram account to 1000 followers in 14 days. There’s no any hard and fast rule about the amount of traffic you need to earn money. It mostly depends on your niche and target traffic. If you run an affiliate site and target only readers with intent to buy the product, even a 100 users/day can earn thousands. On the other hand, websites monetized with AdSense need to have at least 1,000 users/day from tier one countries to make some significant amount of money. Can I use multiple Blog Monetization Strategies? Definitely. You can use multiple strategies listed here at once to make some extra $$. In fact, we do recommend using at least 3-4 monetization strategy in case of sudden changes or other problems with any of the monetization strategy. However, make sure you don’t ruin user experience and fill your site with only annoying ads. AdSense vs. Affiliate Marketing - What works best? Both works. It all boils down to what type of site you’re creating and the targeted traffic. 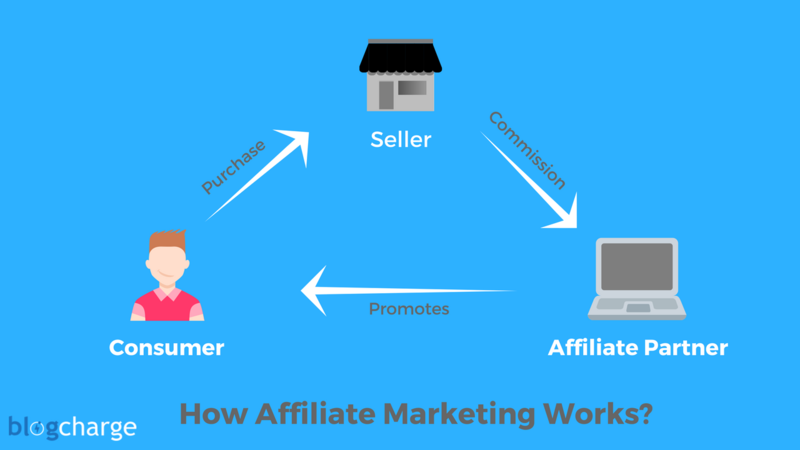 Continuing with my above example, if you want to create a website talking about products or services, then affiliate marketing would work best. Otherwise, if the place is in entertainment niche or general niche, then AdSense will work better. WordPress vs. Blogger - Which one for blog monetization? My vote goes to WordPress. Directly start with WordPress if you’re serious about making money and want to scale big, Although there’s an investment involved, it’s worth every penny spent. Focus more on blog promotion than on creating content. You can use these 39 places to promote your site and get free traffic. How many AdSense ads unit on a single page? Earlier there used to be a limit of 3 ads per page but Google scrapped it off recently. So, you don’t have to worry about how many ad units to place. However, do note that the ad to content ratio shouldn’t be too low. Alternatively, you can use Google’s latest Auto Ads feature and let Google decide how many ads to place and where. Make sure you do not make a blogging mistake by filling your site with too many ads and destroying user experience. With blogging becoming a mainstream career and a popular way to make money online, it’s necessary that you decide blog monetization strategy beforehand and work according to it. 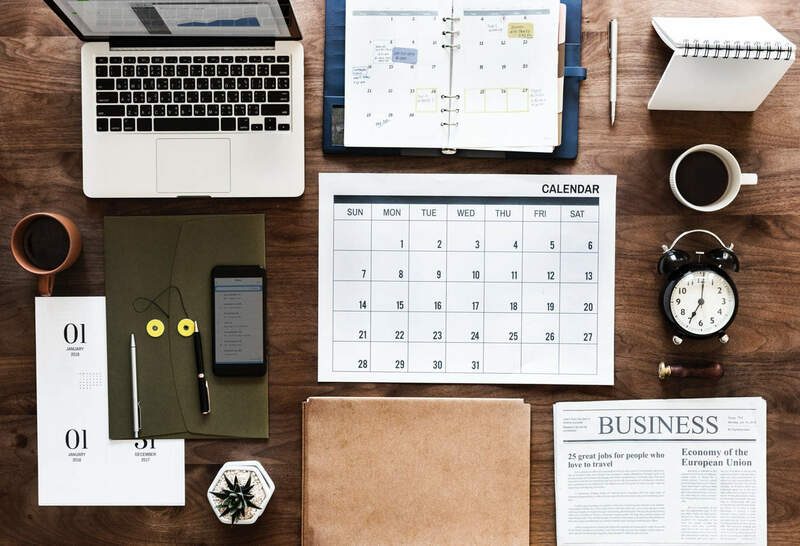 These 30 blog monetization strategies will help you make money blogging in 2019 and beyond. Did I miss any other ways to make money blogging worth listing? Do let me know via comments. I respond to every freaking comment! Since you’ve managed to come this far; I request you to take few moments and share this post on Twitter and Facebook. Or if you’re a Pinterest fan, pin the graphics to your favorite group board. Download your printable copy of “30 Amazing Ways to Make Money Online.” Enter your email address below. Really it is a epic post and your shared content is really valuable. Thanks. This is probably the most detailed and comprehensive list of affiliate income sources I’ve read. Well done, Shafi! We can probably work together in some ways – looking forward! Very great information for bloggers who want to make money. I keep coming back to your site to learn new ways each time. Thanks for writing it in so much detail. Really awesome. People often struggle to come up with 10 methods and here you have enough content to actually publish a book. I think Drop shipping has become harder and harder, earlier when there weren’t too many people it was easy to crack but with the competition, it is becoming harder. Thanks for the good words. I agree that Drop Shipping is getting saturated these days, but what isn’t. If you can find a unique approach to dropship, you’ll still be able to earn good money. Nice post Shafi. I really enjoyed every bit of it. Since the shoutmeloud forum isn’t active anymore, I’ll spend more time visiting to read some of your insightful publications. I am quite surprised to read this amazing article. Keep sharing more informative articles. Thanks for sharing such a great post. It’s quite helpful. Sir I wanna know if I can place any other Ad service with my Google Adsense ads. If you can answer this than it would be very helpful for me. You can use another ad network if it is approved by Google. Here are a few networks that can be used alongside AdSense. I hope it helps. 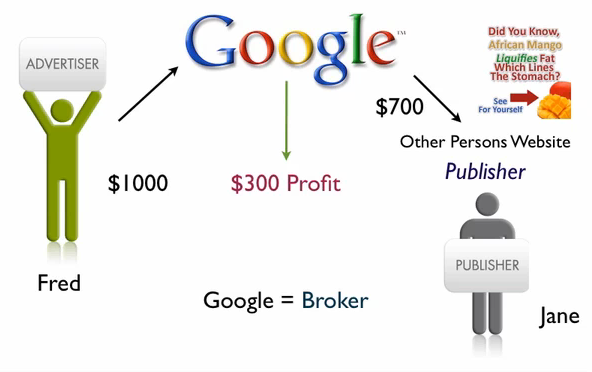 Absolutely, You can also place another adsense platform that may increase your earning. Yes you can place any other adsense platform to increase your blog earning as already suggested by Mr. Shafi Khan. Wow, what a post and some great graphics too. And you laid out pros and cons nicely. None of these comes easy, however. Of course, if you are experienced, it’s easier. This post is worth reading again and again. Thanks for the great post! Glad to see that you found it helpful and thank you for a great comment. Keep visiting man! Hi…I like the presentation(pros and cons in a rectangular box) in this article. It attracts me to continue the reading. Points are clear and focused well. Overall the layout and content are awesome. FAQ is a plus point to this article. Wow, this is my first time here (came through Pinterest) and I’m blown away by how detailed you are in weighing the pros and cons of each income source. I guess the flow of income also depends on which niche a person is in… I’m really new to this whole make-money-from-blogging thing but I’m sending good vibes to the universe (and doing due research) to get to where I wanna be. Also, just so you know, I was on the train when I read this on pinterest. I had to go off for my dinner appointment but at night, I turned on my computer and continued to read what I’d pinned. Job well done! Thanks for sharing in the web. I agree with you. Affiliate marketing is the best way to make money blogging for beginners and new bloggers with a limited budget. This article covers all possible ways to make money through blogging. Thnks for sharing this with us and resources. You are the great inspiration to the people who want’s to start their career as a blogger. Thanks for that wonderful website. Thanks for the great words, Mahboob. This is what is called an epic post. This needs to be bookmarked! In my experience, affiliate marketing is the best monetization method for me. But even with this, it matters what products you promote. The best is to promote products with recurring commissions. There are lots of products in this category: web hosting, VPNs, money processors such as Skrill, etc. If you cannot find a product with a recurring commission, it is better to focus on high ticket products. Adsense is easy but it is not as profitable as affiliate marketing. Like you said, when they click on an ad, they will probably never be back again. Glade to read your valuable article. Please let me know some more important tips how to earn money from blogging. Thanks for sharing more productive articles. Thanks Khan for your help and guidance. I indeed agree with your wordings like good quality content, strong relationship and sponsored articles. These tips will definitely rank the blog. I am currently adsense approved, Can you guide me some other high cpc monetize platform? You can try Mediavine and Media.net ads. But they both require good traffic requirement. I hope you will be fine and good health. Thanks for your response to my question. I would like to speak that i had applied for the ad-sense from Media.net but could not be approved due to meeting their minimum 10% traffic from United States. Is there any good choice? Try AdThrive or Mediavine. Both could accept you.